API (Application Programming Interface) is an interface which allows applications to talk with each other. Simply put, it is more like a website, where you make a call to the server and you get a response from the server. Dynamics 365 Business Central (D365BC) expose many "ready-to-use" APIs which allows seamless integration experience between other service offerings and Dynamics 365 Business Central. Spring 2018 release introduced this new capability to Dynamics 365 Business Central (D365BC) and from every month "ready-to-use" API count is growing. Apart from "Ready-to-use" APIs, a user can build their own custom APIs and that will discuss in a separate blog post. 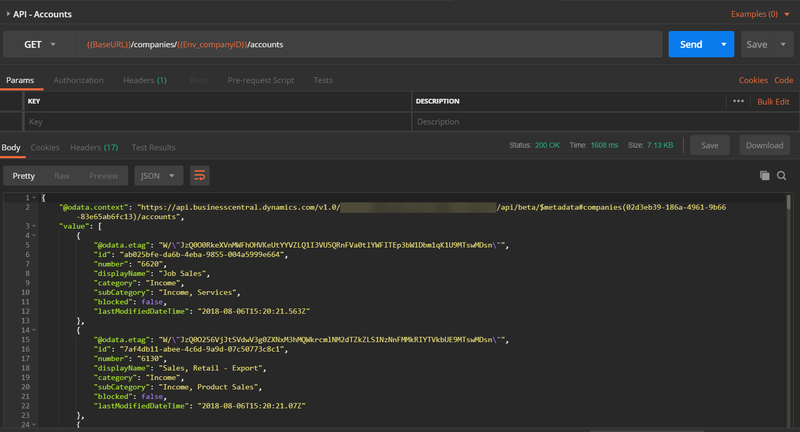 This blog post will go through basic API requests and will show how to use Postman to test these. I have created a collection called "Business Central - API" and in that, I have defined 2 variables so I do not have to type the Base URL over and over and also to store the tenant ID. You need to replace <your tenant domain> with your Business Central ID. In the "Authorization" tab set the type to "Basic Auth" and enter Username and Password to login into Dynamics 365 Business Central (D365BC). In here I used Web Service Access Key to login to Dynamics 365 Business Central (D365BC). Return JSON will have all the available companies and their unique IDs. If I want to work with one specific company, then you can store the company ID in an environment variable in Postman. This will make life easy if you going to use this ID in multiple requests. Now with the stored "Enc_companyID", you can filter the return JSON. From that forward your any request will work on that filtered company. In this we are filtering customers based on Customer ID we stored in environment variables. Once the script is ready to send the request and get the response back. That will set the etag in the Environment Variables. In the body of "PATCH" request add below JSON. This means to change the display name to "Tailspin Toys - Update"
"displayName": "Tailspin Toys - Update"
Execute the command and return JSON will have updated "Display Name"
There are many new possibilities opens up with new APIs and will post more about new APIs and custom APIs. Every year Microsoft is releasing a major version of Microsoft Dynamics NAV and on top of that, they release monthly updates for each of these versions. You would love to have all your clients and developed add-ins to be only in the latest version of Microsoft Dynamics NAV. However, we all know that is far from happening (At least for most of us). Technical and functional consultants required to access these different versions all the time. So what is the best way to manage these different versions by keeping the fact of easy access? 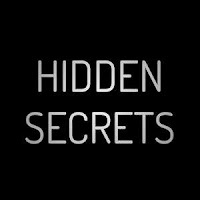 Is the best way to install all the versions on one big server? If so next question to answer is how to manage shared resources and conflicts? or to have virtual machines per each version of Microsoft Dynamics NAV? Once again running into a resource issue. What is the best way forward? for me, the answer is Docker and Containers! Docker is a containerization platform. In other words, Docker is a software platform which allows to build, test, and deploy applications with no time. The key benefit of Docker is that it allows users to package an application with all of its dependencies into a standardized unit for software development, Shipment, and Deployment. This standardized unit is called as containers. Docker was first released in the year 2013 and it was developed by Docker. Container images become containers when they run on Docker Engine (During runtime). Containers are available for both Linux and Windows-based applications, the containerized software will always run the same, regardless of the infrastructure. Containers provide a higher level of isolation. Which means each container on Docker has its own registry, file system, network layer with its very own published ports and memory space. Are Containers and Virtual Machines are the same? In a way, Docker and Containers are a bit like virtual machines, but unlike virtual machines rather than creating a whole virtual operating system, Docker allows applications in the container to use the same kernel as the system that they are running on. This means container should only need to have things which are not available on the host computer. This allows containers to be lightweight and also to provide a good performance boost. Containers run on total isolation and this allows you to run multiple instances of containers side by side without any conflicts. Only you will know that you are working on multiple container instances at the same time. Another advantage of containers is they are instant on, just like your TV. Whan, you run a container it does not have to go through all the initializations like normal computers, they know where to pick it up from. Containers also eliminate environment inconsistencies and the "works on my machine" problem by packaging the application, configs, and dependencies into an isolated container. Is Microsoft release Docker images for Dynamics NAV? YES! Microsoft does release Microsoft Dynamics NAV Container images to public Docker Hub. How can a Containers be helpful to a NAV developer? If you want to work and test your code on different versions of Microsoft Dynamics NAV, then Docker containers are the best solution. You do not have to create and configure different VMs to develop and test your code. Once you download the Container Image from Docker Hub you can easily clone the image and setup multiple instances within minutes. How can I get started with Docker and Containers? Stay tuned for my next blog post, or if you are in a hurry then read Freddys blog. Third consecutive year as a Microsoft Most Valuable Professional. It is a great honor to receive the Microsoft Most Valuable Professional (MVP) award. Thank you, everyone, for helping me out on this great journey. 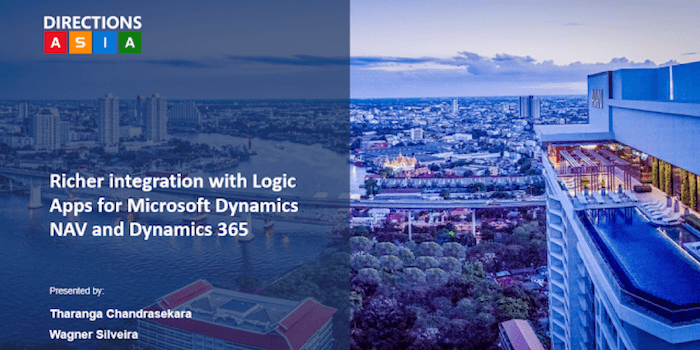 I will be taking the stage this Saturday with Wagner Silveira at Dynamics 365 Saturday - Melbourne to talk about "Richer integration with logic apps for Microsoft Dynamics NAV and Dynamics 365". The original post is posted in Theta's Official Blog. Directions is the biggest Microsoft Dynamics NAV conference in the world, and was held for the second time in Asia, on 15th and 16th March in Bangkok. It’s an independent conference for Microsoft Dynamics partners from the ERP and CRM channels focusing on the small and medium-sized business (SMB) market, organised by partners, with the help of Microsoft. Attending any Directions conference is always an advantage for any professional involved in the Microsoft Dynamics platform, as the conference provides the perfect environment for knowledge sharing, networking and discovery of new opportunities for future growth and collaboration. 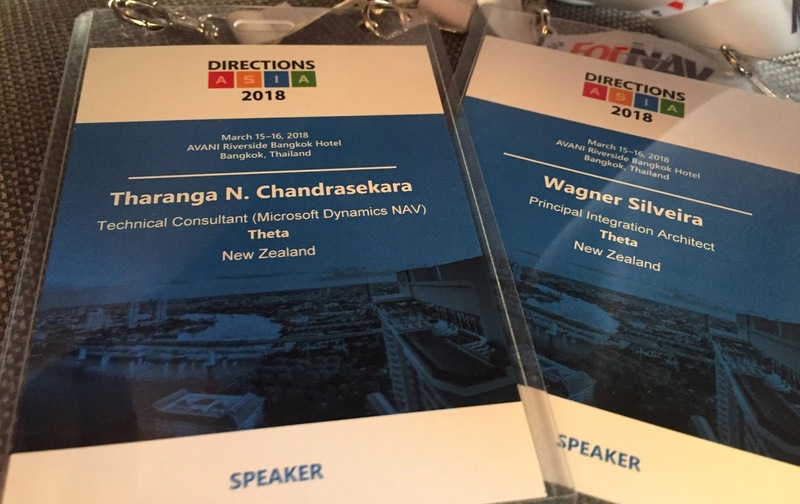 This year we had the opportunity to send Theta’s two Microsoft MVPs, Tharanga Chandrasekara and Wagner Silveira, to Bangkok, not just to attend the conference, but as presenters at Directions ASIA, selected and sponsored by the Directions committee. Here is what they have to say about the experience. Integration at a Microsoft Dynamics Conference? Precise, up-to-date information is key to a successful business, as it adds real value to the decision-making process, making it faster and more reliable. Today, ERP and CRM systems are entwined, making it hard to implement one without the other. But a reliable and conflictless integration is quite hard to achieve. The standard Microsoft Dynamics NAV CRM connector works perfectly when a point to point integration and data flow direction are unidirectional - “To Integration Table” or “From Integration Table”. But the Microsoft Dynamics NAV CRM Connector faces difficulties when integration requirements become multi-point or bi-directional. So what are the alternatives? We decided to share our experience integrating Microsoft Dynamics 365 and Microsoft Dynamics NAV with the community, demonstrating new integration possibilities and best practices. During our session, we brought together our two areas of expertise to discuss patterns to integrate Microsoft Dynamics NAV and Microsoft Dynamics 365 (CRM) when multi-point or bi-directional integration is required. We demonstrated the use of Logic Apps with Microsoft Dynamics NAV to achieve bi-directional, close to real time, multi-point integration scenarios. The audience was engaged and enthusiastic, and especially interested in the three demo scenarios, which showed the new capabilities Logic Apps can bring into the world of Microsoft Dynamics. During the conference, Marko Perisic (General Manager, Microsoft Dynamics SMB) announced Microsoft Dynamics 365 Business Central. Microsoft Dynamics 365 Business Central brings the full power of Microsoft Dynamics NAV to the cloud, as a modern solution for modern businesses. Along with the new capabilities, the application will include an all-new user experience. With a familiar Microsoft Office 365 user interface, personalised feeds, smart notifications, embedded AI capabilities – amassing over 100 new functionality items, Business Central enables users to work smarter and be more productive than ever before. The conference was a huge success, and we’re looking forward to attending again next year. Microsoft Dynamics 365 Business Central will be generally available on April 2, 2018, in 14 countries (United States, Canada, United Kingdom, Denmark, Netherlands, Germany, Spain, Italy, France, Austria, Switzerland, Belgium, Sweden, and Finland) and will be available through the Cloud Solution Provider (CSP) channel. The solution will be generally available in Australia and New Zealand from July 1, 2018. 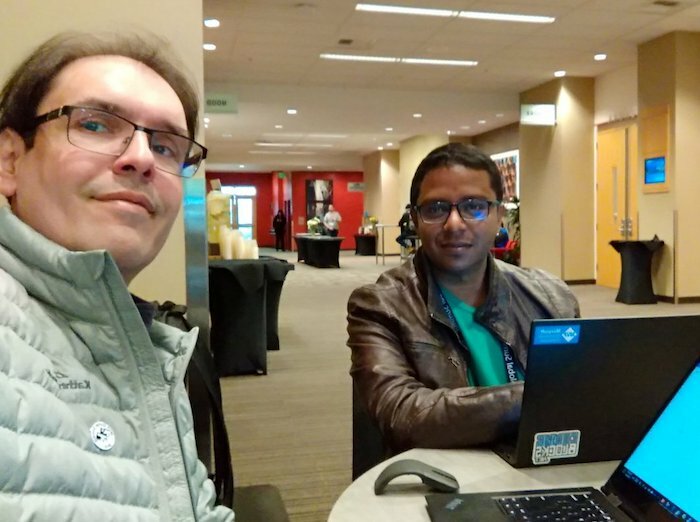 Tharanga Chandrasekara, a senior consultant in our ERP team, and Wagner Silveira, Theta's principal integration architect, are both Microsoft MVPs, and were invited to present at this conference by the Directions committee. While waiting at Auckland Airport for my flight to Bangkok to attend Direction Asia, I got a pretty exciting mail from my MVP group. 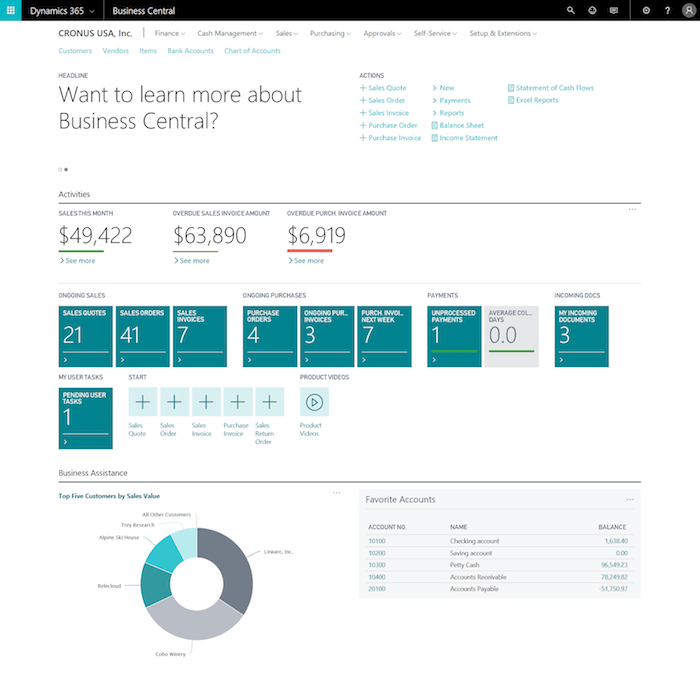 Microsoft Dynamics 365 Business Central is now official! Generally available beginning April 2nd, Business Central offers businesses a single, end to end solution for managing finances, operations, sales and customer service, and an opportunity to easily upgrade from entry-level accounting software and legacy ERP systems. Dynamics 365 Business Central will be generally available on April 2, 2018, in 14 countries – United States, Canada, United Kingdom, Denmark, Netherlands, Germany, Spain, Italy, France, Austria, Switzerland, Belgium, Sweden, and Finland, purchased through Cloud Solution Provider (CSP) partners. Australia and New Zealand will be generally available beginning July 1, 2018. Will Tweet and blog about Microsoft Dynamics 365 Business Central when we heard more during Direction Asia. Below is the list of Virtual and System tables in Microsoft Dynamics NAV 2018. 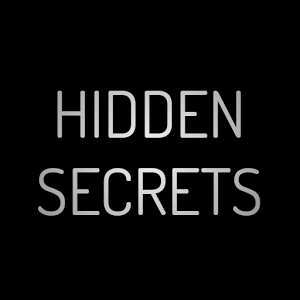 Some of these hidden tables save hours of work for developers if they used properly. Click here to refer a complete blog post about Date table and how to use.